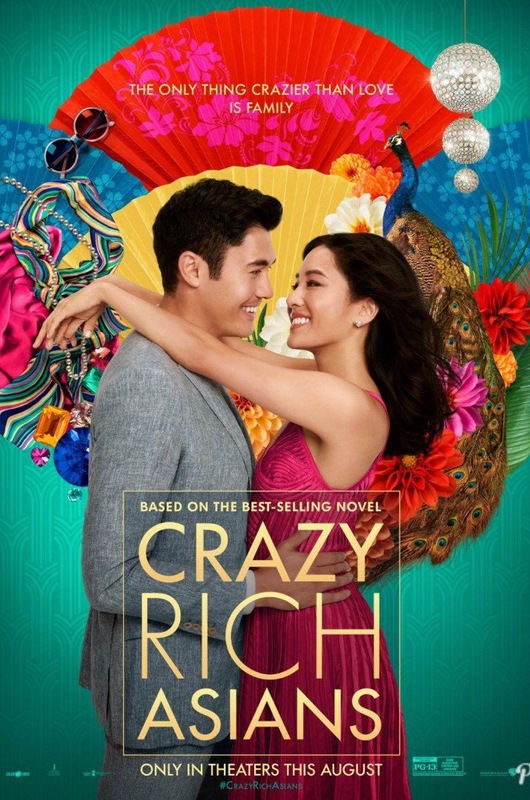 Rachel (Constance Wu) and Nick (Henry Golding) have been dating for over a year, and when it’s Nick’s best friend Colin’s (Chris Pang) wedding in Singapore, it’s the perfect chance for Rachel to meet Nick’s family and friends – what she doesn’t expect is for them all to be super rich and famous! Based on the book of the same name by Kevin Kwan, Crazy Rich Asians is a romantic comedy that’s big, bright and full of over the top characters and settings, and somehow it all works. Singapore with all its people, buildings and food looks stunning. The film captures the extravagance of these characters lives, showing all the glitz and glamour but still being able to shine light, however briefly, on the characters more hidden sides – one of Nick’s cousins Astrid (Gemma Chan) has a subplot with her dissatisfied husband (Pierre Png) that’s heart-breaking. Rachel and Nick are a believable couple as their chemistry is fantastic and they actually talk about the problems they encounter – though both of them don’t always understand what the other could face because of their relationship. Rachel’s main adversary is Eleanor (Michelle Yeoh), Nick’s glamourous and reserved mother. She wants the best for her son and see’s Rachel as an outsider and a distraction, both because of Rachel’s status in class, and the fact she grew up in America. As Eleanor’s disapproval becomes more obvious, Rachel must decide whether to fight or give in to the almost insurmountable pressures she and Nick are under. While Eleanor is the villain to Rachel’s hero, the film never fully villainises her, instead being sure to show Eleanor’s side to things and making her sympathetic in her own way. The whole cast is brilliant and while the romance is the main focus, the film showcases some brilliant relationships between women. There’s Rachel and her best friend from university Peik Lin (Awkwafina) who is hilarious and supportive, Astrid is one of the few members of her family to fully accept and like Rachel straight away, and Rachel and mother (Kheng Hua Tan) have one of the best mother-daughter relationships, and while her mother is from China, even she doesn’t quite get all the ins and outs of high Singapore society. Crazy Rich Asians is a funny, romantic film with engaging characters you root for. Everything works, the opulence, the music and the cast. It’s a delightful film that’s pure escapism and there’s nothing wrong with that. 5/5. You can read my review of the book here. Elliot Carver (Jonathan Pryce), a media mogul plans to induce war between China and the UK in order to get exclusive media coverage. James Bond (Pierce Brosnan) and Chinese secret agent Wai Lin (Michelle Yeoh) team up in order to stop him and save both their countries. There are certainly some memorable action and chase scenes in Tomorrow Never Dies. The sequence in a multi-storey car park with Bond on the back seat of his car, controlling it by remote has been one of my favourites since I first saw the film as a child. Also the sequence where Bond and Wai Lin are handcuffed together and have to ride a motorbike together is well put together and is full of crazy stunts. Wai Lin is just as smart and resourceful as Bond, though naturally she needs rescuing once or twice. Still she’s a competent agent and has her own scene staling moments. Elliot Carver is a very over the top villain. The media angle and looking at how far the press will go to get the news first, even manipulating the news to their own ends is quite creepy and today it perhaps even more relevant and scary with today’s focus on phone-hacking and surveillance. But Carver at the head of the operation seems more of a joke, though he can seem threatening, mostly due to his henchmen like Stamper (Götz Otto). Carver also has his own weird ship that can’t be seen on radar and it’s design, both inside and out, is very reminiscent of some of the older Bond films and their eccentric villains seen in the Roger Moore-era films. Tomorrow Never Dies continues where Goldeneye (1995) left off in setting up M (Judi Dench) as a cool character who often clashes with men in power who don’t always believe that she’s up for the job. The scenes with her and Admiral Roebuck (Geoffrey Palmer) are great. The action sequences are thrilling and while the power and threat of the media is still incredibly relevant, Elliot Carver is almost a pantomime villain which is rather disappointing. 4/5. Michelle Yeoh has been in so many cool films in so many different genres, many of which I haven’t had a chance to see yet. Sunshine (2007) is my favourite Danny Boyle film and stars a talented and diverse cast. Michelle Yeoh plays Corazon, the biologist who looks after the ships “oxygen garden”. She was definitely my favourite character (closely followed by Chris Evan’s Mace) because she was smart and brave and tried to keep the team together. She was also in the dystopian film Babylon A.D. (2008) where she played a pretty badass nun who could totally hold her own against Vin Diesel. 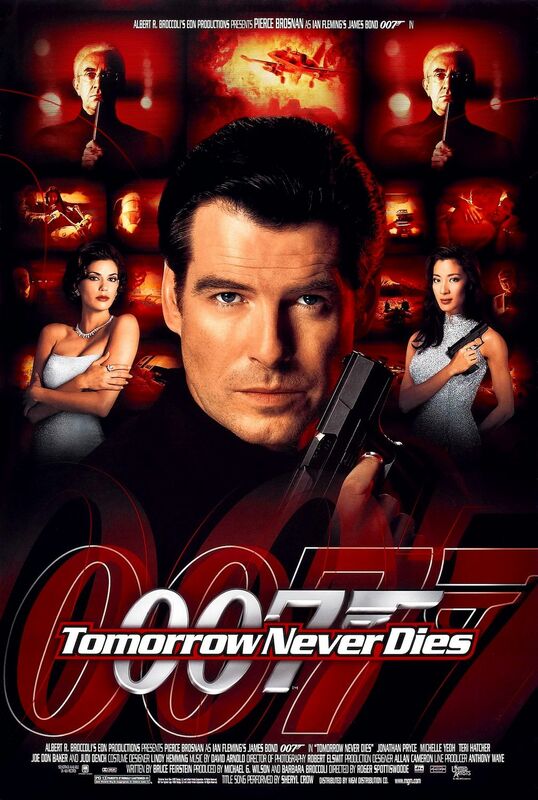 I watched Tomorrow Never Dies (1997) years ago when I was about ten so I can’t remember much of it – and I haven’t got to it yet as a part of my Bondathon yet – but I’m sure Michelle Yeoh was an awesome Bond Girl in it. I watched Crouching Tiger, Hidden Dragon (2000) ages ago when I was about thirteen, I remember it looking really great but I don’t think I cared about it much because it had subtitles. I definitely want to watch it again soon and so I can appreciate it properly.